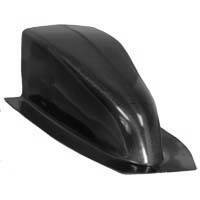 This carbon fiber nose piece is 1" taller than the standard height body, and requires trimming to fit application. Canard style 2 piece front wings can be used with this nose. See "Nose Wings" for compatable carbon wings. Call for Dimensions.